KZH Design provides full service to all website clients. We take your site from the ideas in your head to the content on the screen! We offer hosting and ongoing maintenance for all websites. We can coordinate the look of your site to match existing logos or stationery. If you have an existing website which needs to be refreshed, we can help! P.L.A.I.D. 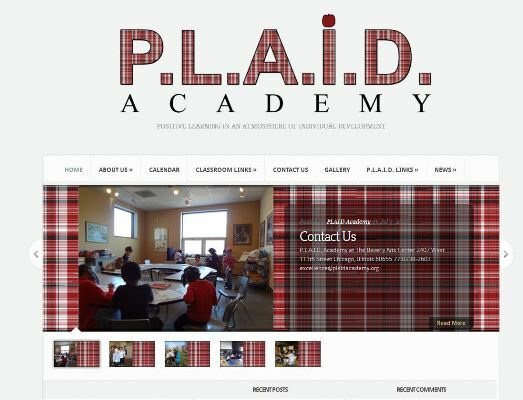 Academy is a private school, located in the Beverly / Morgan Park neighborhoods of Chicago. 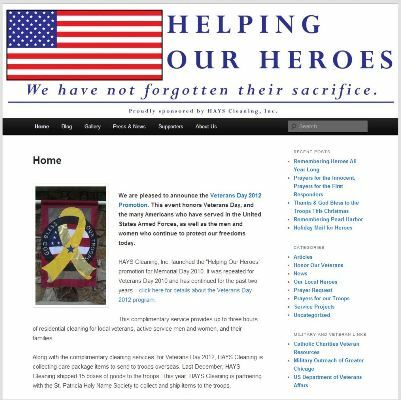 Helping Our Heroes is a program sponsored by Art and Mary James, owner of HAYS Cleaning. The program provides free house cleanings for Veterans, Active Military and their families in the Chicagoland area. 3 Boy Home Services provides Home Inspection, Custom Carpentry and Custome Stained Glass designs to the south suburban Chicagoland area. Jill Natasha Parker-Trotterrr is an artist from Chicago. Her website showcases her textile and sculptural art pieces. Agor Behavioral Health Services, Inc. provides mental health services for all ages. Site offers many resources for clients and visitors, including helpful links and reading recommendations. 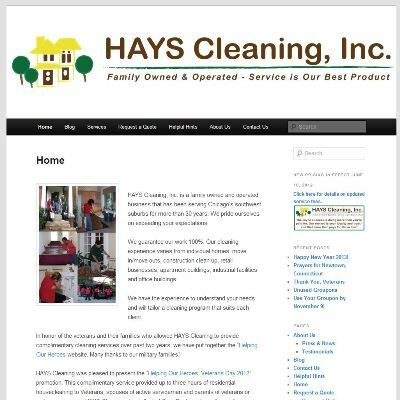 HAYS Cleaning, Inc. provides commercial and residential cleaning services to customers in the Chicagoland area. C.R.I.CKET - Chicago Region Interpreters presents educational, entertaining and quality programs to people of all ages.